The fundamentals of the subgenre are in place – there are randomly generated dungeons, and characters move in a turn-based fashion, square by square. The major difference is in how it’s structured. 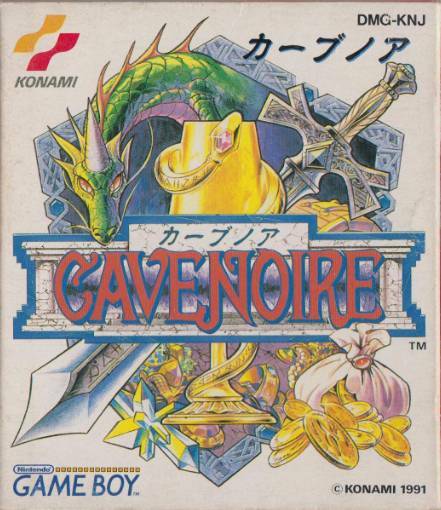 Cave Noire works by dividing the game into four separate dungeons, each with their own quests. You may need to kill a certain number of monsters, in another you need to scrounge up enough money or find enough orbs, or save enough caged fairies. Accomplish the goal and a door will open up somewhere, allowing you to exit and begin your next quest. Each dive into the dungeon brings an increasingly difficult quest, and while your stats go up slightly, it’s not really enough to directly compensate for the heightened difficulty, so you still need to strategize quite a bit. You can switch between dungeons at your leisure, and there’s no advantage to conquering them in any specific order. It’s a rather brilliant approach, due to the way it tinkers with the formula. Normal Rogue-likes can be brutal, requiring significant time investments and usually ending in failure, the results of which can be described as demoralizing, to be kind. By breaking the game up into smaller chunks – even the longer dungeon crawls rarely last more than ten minutes – and providing concrete victory conditions, it allows for a game where success is a distinct possibility rather than a far-off dream. That’s not to say that Cave Noire is easy – the first few levels are cakewalks, but it quickly becomes brutal. Like any other standard Rogue-like, careless decisions are met with harsh consequences, where one misstep can very much doom you. Another big change from standard Rogue-likes is how the enemies move. Most of them carry on in simple, distinct patterns – some move back and forth, others hang to the perimeter, a few move in circles or lines, and the most painful ones actively follow your character. Except in the cave where you’re supposed to kill enemies, there’s not much of an advantage to getting into fights – there are no experience points, and item drops arerare – so it’s much better to calculate their movements and try to avoid them. This isn’t entirely possible, of course, so there are a number of items that help you deal with these situations. Healing potions and antidotes restore health and cure potions, while swords and shields will slightly increase your stats for the remainder of the level. Cloaks will turn you invisible, flight powers will transport you to any tile in the room, boulders can be dropped to manipulate enemy movement, and so forth. You are given four at the beginning of each quest, and the rest are found in treasure chests. There’s no need to “identify” these items, and technically their number is far less than one normally sees in games like this, especially since you’re limited to eight items. but in spite of its straightforwardness, it still allows for those harrowing moments where you’re almost dead and need to scrounge through your inventory to find something, anything, that might get you out of a bind. Like all randomly generated games, there’s still a great probability that the number game might screw you over, resulting in situations where a cyclops might spawn at a room entrance and deliver a killing blow before you have a chance to react, but the breezy pace means that even death isn’t all that frustrating,although it is easy to hit a roadblock on certain quests. 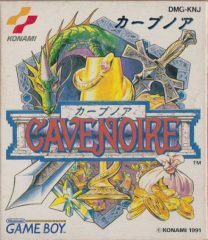 Cave Noire is perfectly suited for the Game Boy – the tile-based movement means that the action isn’t too blurry on original models, and the bite-sized quests make it perfect to pick up and play for a few minutes. It features a save system and even lets you choose the gender and name of your character. Furthermore, like most Konami games for 8-bit systems, the music is excellent, with each of the four dungeons having its own music, some arrangements of the same distinct theme. While the game is simple enough to understand without much knowledge of Japanese, since much of it is icon-based, there is a fan translation patch by Aeon Genesis to make things easier on English speakers. The default player name in the unaltered Japanese version is “Konami Tarou”, but the English translators changed this to “Pentarou”, a reference to the penguin found in the Parodius games.